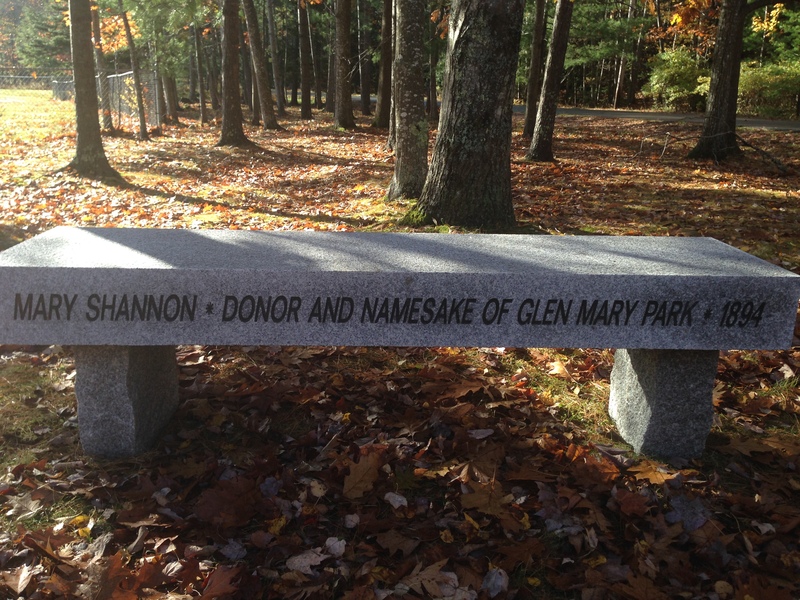 Glen Mary Park is located in a residential neighborhood in the southwest corner of the village of Bar Harbor. The approximately 7.5 acre parcel was conveyed to the Village Improvement Association (VIA) by deed of Mary Shannon, September 18, 1894. Approximately 3.5 acres of the park lies west of Spring Street: the remaining 4 acres are surrounded by Glen Mary Road, Waldron Road, Norris Ave, and Spring Street. The Town of Bar Harbor built a wading pool /ice skating rink on the property and leases the property from the VIA. Though the lease to the town of the pool area requires the town to help maintain the property as a public park, it is the volunteer hours spent by many VIA neighbors that has helped to preserve this treasure. Volunteers such as Jim Campbell and Kip Soule spent years removing deadfall, clearing brush and protecting the area. Ellen Grover now serves as VIA volunteer overseer of the area and has worked to ensure the woods are maintained as Mary Shannon decreed over a hundred years ago. In 2009, the VIA contracted with Savage Forest Enterprise, Inc. to implement a five year plan to maintain and insure the the health of the forest. Tom Savage continues to be a generous and knowledgeable benefactor of the woods. In 2010, Dennis Bracale, of Gardens by Design, volunteered his time and expertise to design a plan to aesthetically improve the park by reintroducing flowering species, thus creating a positive and inviting impression from the roadways. 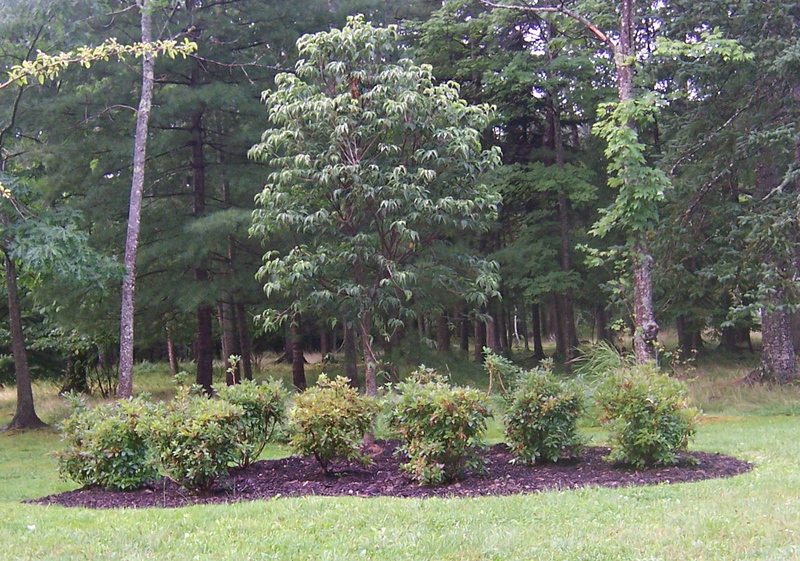 The next spring, the VIA, under Dennis’s direction planted 17 new shrubs and trees, and worked to subtly improve and define the two main walkways in the woods which were badly eroded. In the past few years, benches have been placed in the park for the pleasure of neighbors and visitors, as have signs requesting the dog lovers who use the park to help maintain it’s cleanliness.